The site is a mountain forming the east end of the Acte peninsula. It has been occupied by Greek monastic communities of St. Basil since the 9th century AD. 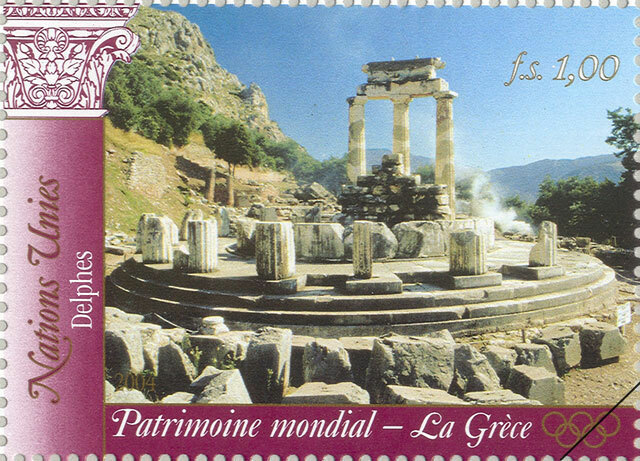 Noted as the "Holy Mountain" of the Greek church, it declared itself a theocratic republic in 1927. The Meteora consists of a series of monastic buildings perched on a cluster of detached precipitous rocks. 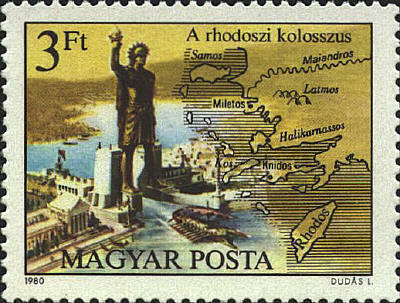 The island of Rhodes is known from the seven wonders of the world. It took the Greek sculptor Chares 12 years to create the 120 foot high bronze statue of the sun god Helios in the early 200s b.c. 56 years after it was completed it was destroyed by an earthquake. Olympia is one of the most important sanctuaries of antiquity, dedicated to the father of the gods, Olympian Zeus. It is the birthplace of the Olympic Games and where they were held every four years for more than a millennium, beginning in 776 B.C. Vergina, formerly known as Aigaes, was founded by King Perdikas in the 7th Century BC, and was the first capital of Macedonia. When the capital was later moved to Pella it continued to be used as the royal burial grounds. One of the royal tombs in the Great Tumulus is identified as that of Philip II, who conquered all the Greek cities, paving the way for his son Alexander. These two cities are linked to the Homeric epics, the Iliad and the Odyssey, which have influenced European art and literature for more than three millennia. Site includes the medieval settlement of Chora with the Monastery of Hagios Ioannis Theologos (Saint John the Theologian) and the Cave of the Apocalypse. Patmos is reputed to be where St John the Theologian wrote both his Gospel and the Apocalypse. A monastery dedicated to the "Beloved Disciple" was founded there in the late 10th century and it has been a place of pilgrimage and of Greek Orthodox learning continuously since that time. Philippi was founded in 356 BC by King Phillip II (and named after himself), on a strategic location on the east-west route through his empire which was later reconstructed by the Romans as the Via Egnatia. The city later became a center of Christian faith and place of pilgrimage, because according to the New Testament it had been visited by the Apostle Paul around 49 or 50 A.D.